Spring is here at last, and it's time to get out and enjoy the change of seasons. 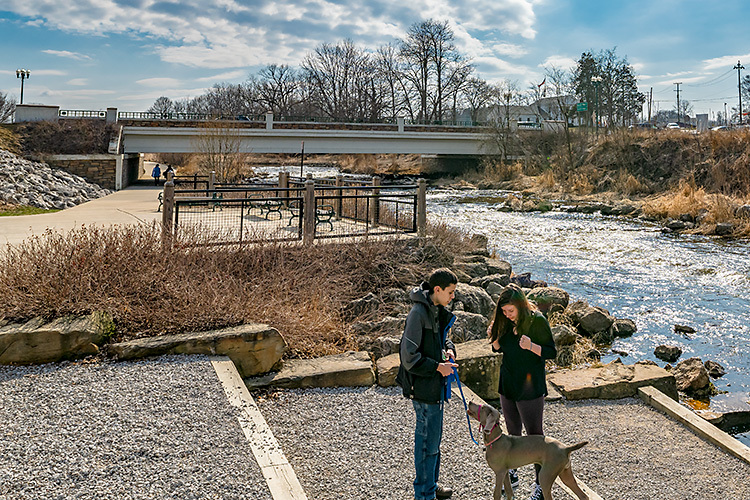 To help you get a start on your outdoor adventures this year, we’ve consulted two experts about some of their favorite hiking spots in Washtenaw County, both on and off the (literal) beaten path. Dan Ezekiel is the current chair of the Sierra Club’s Huron Valley Group and Kelsey Dehring is a park naturalist with the Washtenaw Parks and Recreation Commission. We chatted with them for some insights on five of Washtenaw County's best hiking destinations. Spanning 335 acres, Park Lyndon is truly one of Washtenaw County’s best natural treasures and a hiker’s dream. Over 500 species of plants and animals can be spotted across a wide variety of habitats that include marsh, bog, pond, forest, prairie, swamp, and fen. Divided by North Territorial Road, the park boasts two miles of marked nature trails. If you're truly ambitious, you can connect to Michigan’s Waterloo-Pinckney State Trail for a combined hiking experience of nearly 50 miles. The Waterloo-Pinckney Trail at Park Lyndon County Park. Regardless of how short or long your hike is, you're sure to be dazzled by the steep, glacially sculpted hillsides. "Lyndon Park County Park is a remarkable representation of glacial geology that gives you a glimpse of local history," Dehring says. "You can see what is called a kettle lake, which is a depression formed where a giant chunk of ice would have been sitting once upon a time." Dehring cites the park's kame hills, which were created centuries ago by glaciers leaving behind sand and gravel deposits, as another interesting feature. And for those of us who may have trouble telling a kame hill from a kettle lake, interpretive signs along the trail will help clue you in and deepen your experience. 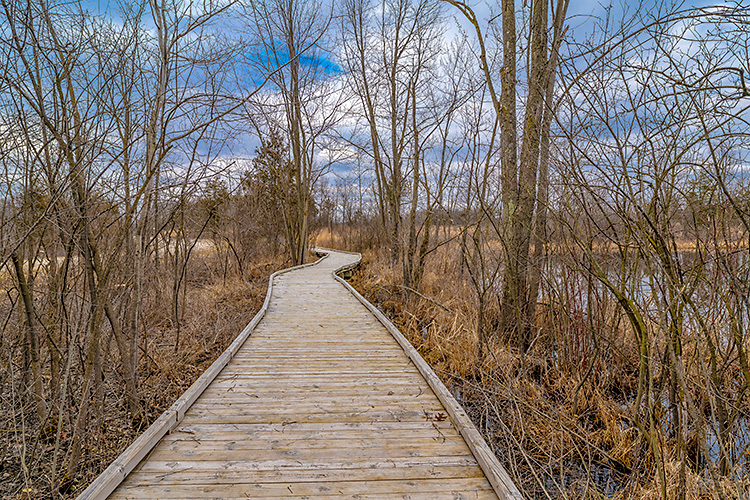 This park offers over three miles of beautiful trails that will take you through wetlands, woodlots, and prairie areas with rare plant species. If you are a birder, there are plenty of great opportunities here. And if you find yourself in the mood for a mere meander, you can stick to a paved path where you may be joined by folks jogging, rollerblading, or cycling. 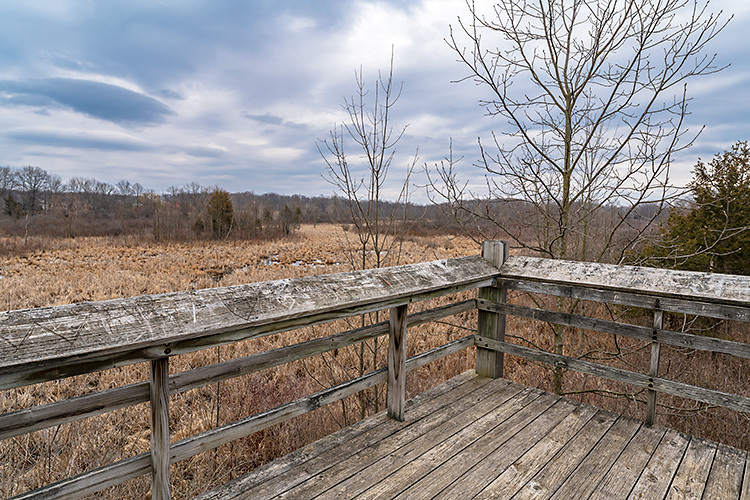 The park’s observation tower is a great place to stop mid-hike. If you’ve brought your camera you’ll want to take a few pictures here before you continue walking. The tower overlooks the scenic wetland and offers a unique, unobstructed view of the local wildlife. Independence Lake County Park's observation tower. 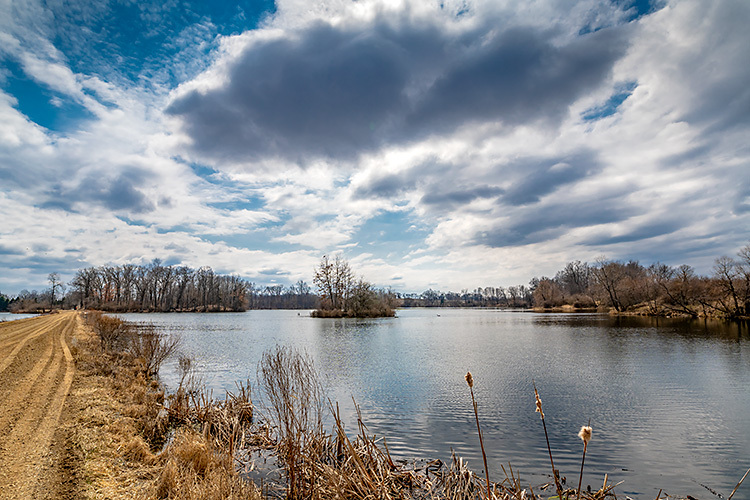 Dehring says that while there is something for everyone at Independence Lake Country Park, flat terrain and a mixture of paved and unpaved paths make it ideal for beginner-level hikers. "The park is really a little gem," she says. "At one point you can easily be walking through a marsh and then next you can be walking through a prairie." Straddling the Washtenaw-Jackson county line, Watkins Lake State Park and County Preserve offers a stunning, nearly six-mile-long trail. 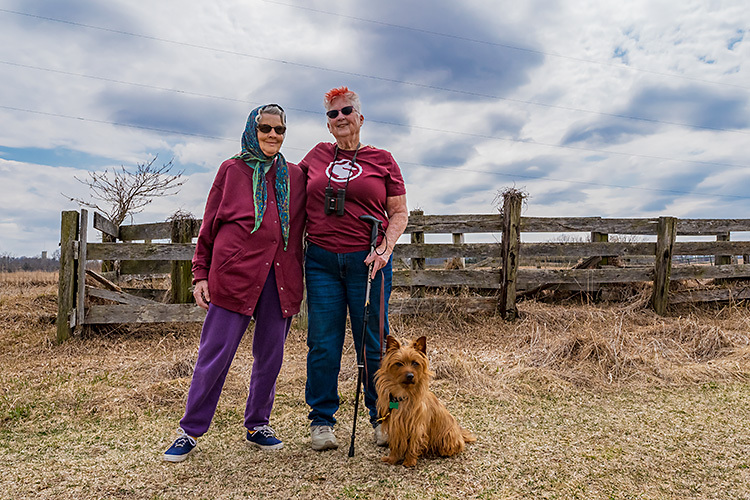 A couple hiking at Watkins Lake State Park and County Preserve. The trail, an abandoned railroad grade, passes through forest and field habitats and ends up at a hill with a nice view of the surrounding agricultural areas. 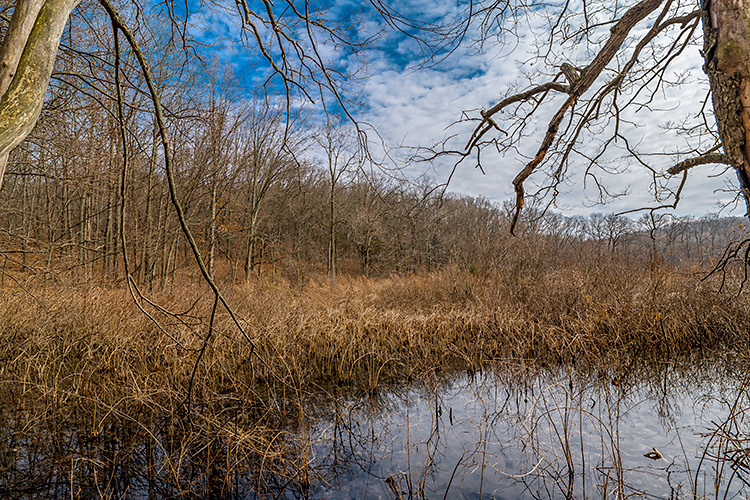 Highlights include open meadow, mixed hardwoods, low wetland areas, and open water. The property’s most popular feature is Watkins Lake, which the Michigan Department of Natural Resources has designated a Waterfowl Refuge. The lake provides significant habitat for migrating and breeding birds, and hikers can spot many species of ducks, geese, and grebes in the area. It opens May 15 this year, after bird mating season is over. Ezekiel, an avid birdwatcher, says that feature makes this trail one of his favorites in the county. "As you approach the trail, you pass over a causeway through Watkins Lake that is simply thronged with waterfowl," he says. "You can get close-up views of beautiful species like hooded mergansers." He suggests going in the early morning. "The rare Henslow's sparrow may be calling from the hillside above the parking area, and you may also see the northern mockingbird," he says. Keep in mind that because Watkins Lake State Park and County Preserve is a state park, you’ll need a state Recreation Passport to use the parking lot. 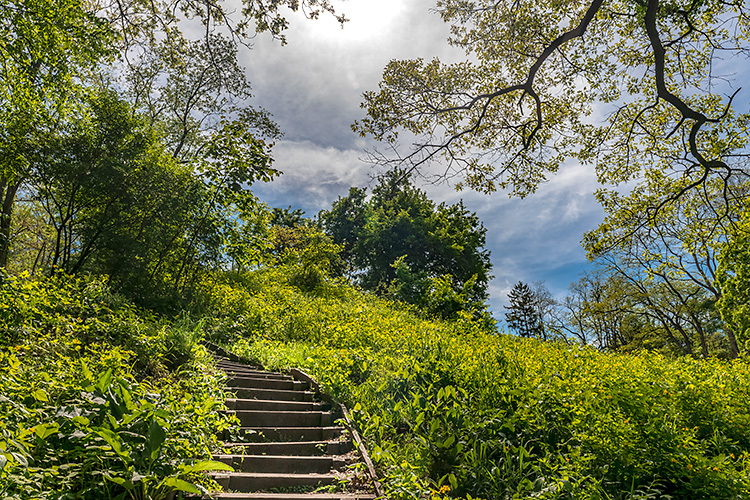 Nichols Arboretum is an established oasis in Ann Arbor and one of Ezekiel’s top five favorite hiking destinations. 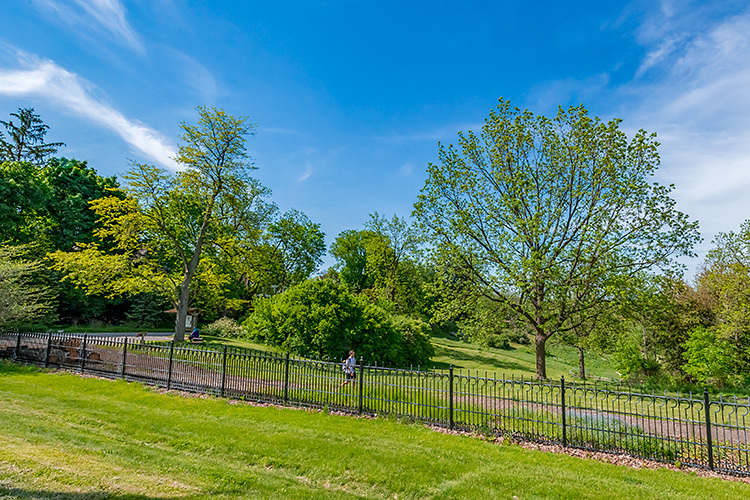 Having grown up in Ann Arbor, and now in his sixties, he estimates that he has probably visited the Arb a whopping 500 times to date. He suggests that visitors start their hikes by entering from Riverview Court and then crossing Dow Field. Head to the "Warbler Hotspot" – a popular name for the area near the intersection of the Huron River and a railroad bridge – and the "Rhododendron Glen," visible off the main trail leading in from the Arb's Geddes Road entrance. "You will have a chance to see several scenic habitats, including the prairie and riverbank," Ezekiel says. "You’ll see many bird species and the university's unique collection of trees and shrubs." Nichols Arboretum is open seven days a week from sunrise to sunset so you can hike there pretty much any time you like. 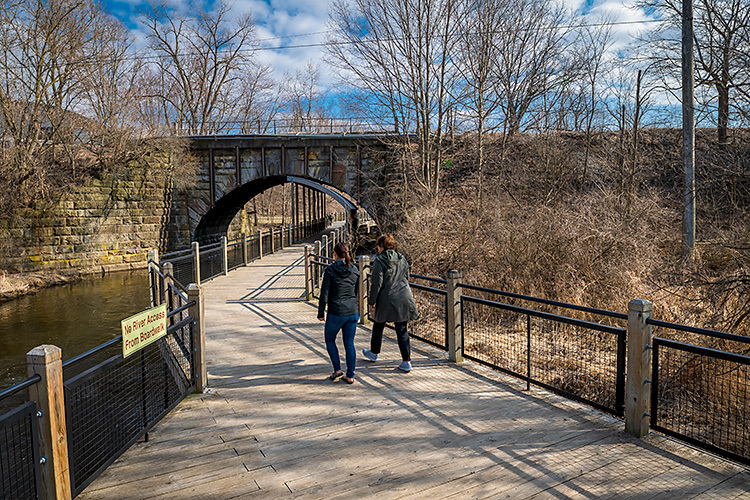 The segments of the county's border-to-border trail in the Dexter area follow the Huron River through downtown Dexter and connect to the Huron-Clinton Metroparks, including Hudson Mills and Dexter-Huron. While hiking the multi-purpose, non-motorized trail you can enjoy breathtaking rolling hills, meadows, wetlands, and woodlands. The B2B trail in Dexter. Start at Mill Creek Park, just west of downtown Dexter off Main Street, or at one of the parks for easy parking and trail access. There are also a number of picnic areas where you can give your feet a rest and recharge, or you can enjoy a post-hike meal or drink at one of downtown Dexter's restaurants or bars. The B2B trail at Mill Creek Park in Dexter. For curious minds, interpretive signs are provided along the way. The explanations and historical facts add another layer of enjoyment as you move through. Specifically, Ezekiel recommends the fairly new, paved trail segment from downtown Dexter to Dexter-Huron Metropark. He says it’s perfect for either solo jaunts or family hikes. "It provides beautiful river and forest views with boardwalks – and you can finish up at the Dexter Cider Mill," he says. 6. Keep exploring on your own! 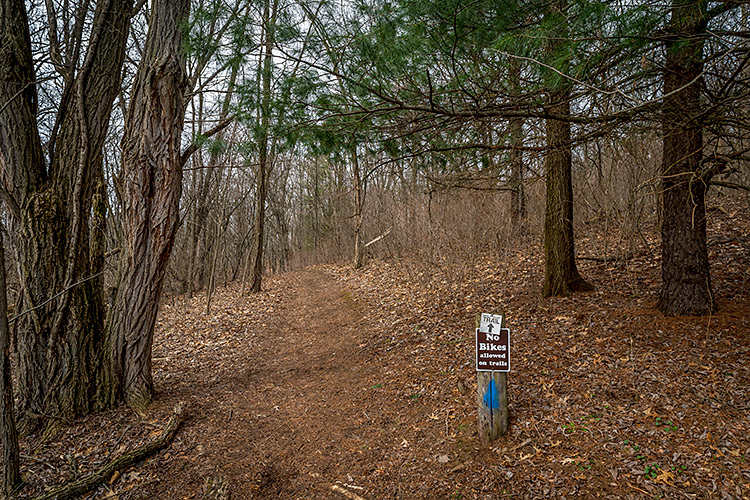 The Washtenaw Parks and Recreation Commission is a great resource for more information on local hiking trails. You can access trail maps, Google Maps for addresses and locations, and park event listings. You can also find out if a location is wheelchair-accessible or dog-friendly. Regardless of where you decide to hike, both Ezekiel and Dehring are confident that you'll thank yourself for getting out and hitting the local trails. "There’s lots of opportunity for happiness out there, as you just never know what Mother Nature is going to surprise you with," Dehring says. Jaishree Drepaul-Bruder is a freelance writer and editor currently based in Ann Arbor. She can be reached at jaishreeedit@gmail.com.